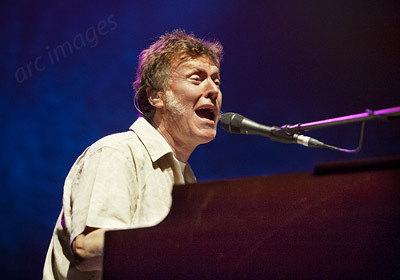 I declare I’ve been a big fan of Steve Winwood ever since Traffic’s appearance at Lancaster University in 1974. Yet tonight’s show is something of a mixed bag. 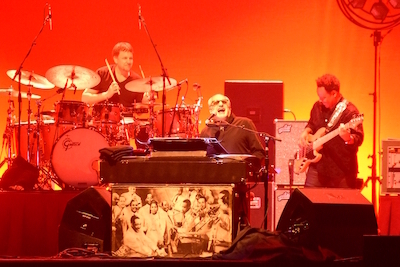 Sat behind his Hammond Organ for the first three numbers it is clear that this ‘vintage’ seventy year old has lost none of his distinctive and distinguished vocal chops. 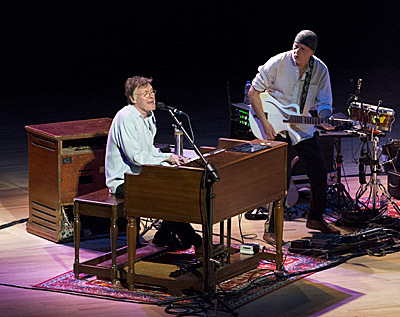 Steve Winwood’s career has been remarkable and diverse, spanning from the 1960s to the present. 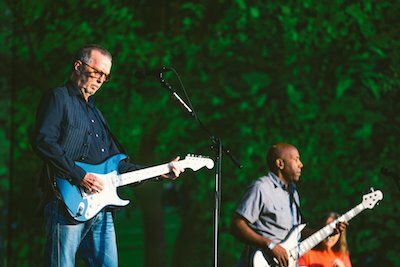 He was a teen pop idol with The Spencer Davis in the 60s Group, a stalwart of the laid-back rock scene of the 70s, with his band Traffic, and a sophisticated solo mega-star in the 1980s. The question tonight is whether he can meet the expectations of the fans from across these generations and provide music to satisfy everyone.